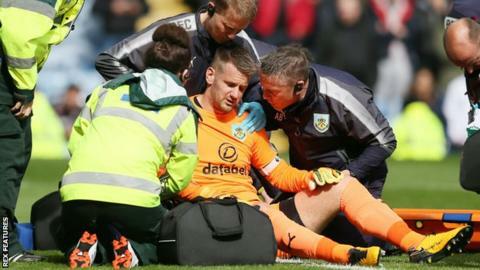 Burnley goalkeeper Tom Heaton has had surgery on a shoulder injury he sustained in Sunday's 1-0 win over Crystal Palace. Clarets boss Sean Dyche said Heaton's absence "won't be weeks, it will be a longer period". "We're happy the surgery went well but we won't rush Tom back," Dyche added. "He has to be 100% right, but this is just a blip and he'll be fine."